The Indian prime minister will visit China for the first time in May. Indian Prime Minister Narendra Modi will visit China in May this year. Sushma Swaraj, the Indian foreign minister, made the announcement during her ongoing three-day visit to China. Modi’s visit to China will be his first since coming to power in India’s general elections last May. 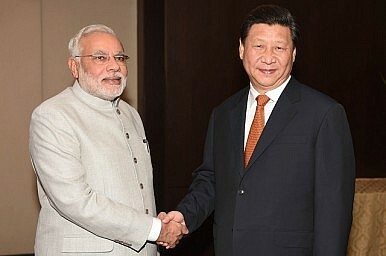 Chinese President Xi Jinping visited New Delhi in September 2014. The announcement of Modi’s impending trip to Beijing comes shortly after U.S. President Barack Obama visited New Delhi as the chief guest at India’s Republic Day parade. “Mr Modi is going to come in May. I will give them dates today. This is a preparatory visit,” Swaraj told the press in Beijing. According to reports from Beijing, Xi, in a rare gesture, will take Modi to his home province of Shaanxi. Modi practiced unorthodox diplomatic protocol himself during Xi’s India trip when he chose to receive the Chinese president in his home state of Gujarat. Modi’s trip to Beijing will be an important litmus test for the state of India-China relations. Xi’s India visit was overshadowed in part by a border incursion by the People’s Liberation Army. While the visit was originally slated to focus on positive-sum areas for cooperation between India and China, the border incursion highlighted the major rifts that still exist between the two countries. India and China currently dispute the sovereignty of two border territories. India claims sovereignty over Aksai Chin, territory that Beijing has been administering since the Sino-Indian War of 1962. Similarly, China claims almost the entirety of Arunachal Pradesh, a northeastern Indian state bordering Tibet. “On the boundary question, my government is committed to exploring an early settlement,” Swaraj told reporters in Beijing without revealing too many specifics. “We have made considerable progress in establishing and expanding defense contacts and exchanges, including across our border. They contribute to the maintenance of peace and tranquility there, a pre-requisite for the further development of our relationship,” she added. The last major bilateral document between the two Asian powers on their border dispute was the October 2013 Border Defense Cooperation Agreement (BDCA) which was signed by Xi and Manmohan Singh, Modi’s predecessor. Though India and China have made important advances in their bilateral relationship over the past year, Obama’s recent visit to India raised concerns that India will align itself with the United States in Asia. The U.S.-India joint statements and declarations released during Obama’s New Delhi trip highlighted, among other topics, support for the principle of freedom of navigation in the South China Sea, maritime security, and interest in maintaining regional stability in the Asia-Pacific. Despite this, the current Indian government under Prime Minister Modi has shown that it is unwilling to alienate Beijing. Bilateral trade between India and China has grown to over $70 billion over the past year. China meanwhile has pledged to invest in Indian infrastructure projects as well.